Providing world class service starts with a fleet that is second to none. We’re proud to provide a fresh fleet of executive vehicles to you. If you have any questions you may call us at 662-259-0508 or to make it really easy, simply chat with us, the chat box is at the bottom of your page. Either way, we’re here to help! Lincoln Navigator L: Our Navigator L’s, fresh and loaded with every creature comfort imaginable. Great for Game Day Transportation, airport trips, and long charters. Pricing: From $99 per hour. Cadillac Escalade: Our Escalade SUV’s are very classy and great choices for airport and corporate events. Often the Escalades are used for weddings and special events. Also, great for Game Day Transportation and long charters. Stretch Limo: With an over the top interior with exciting LED lighting, multiple TV’s and a fantastic sound system; our black stretch limousines are perfect for any occasion. Pricing: From $139 per hour. 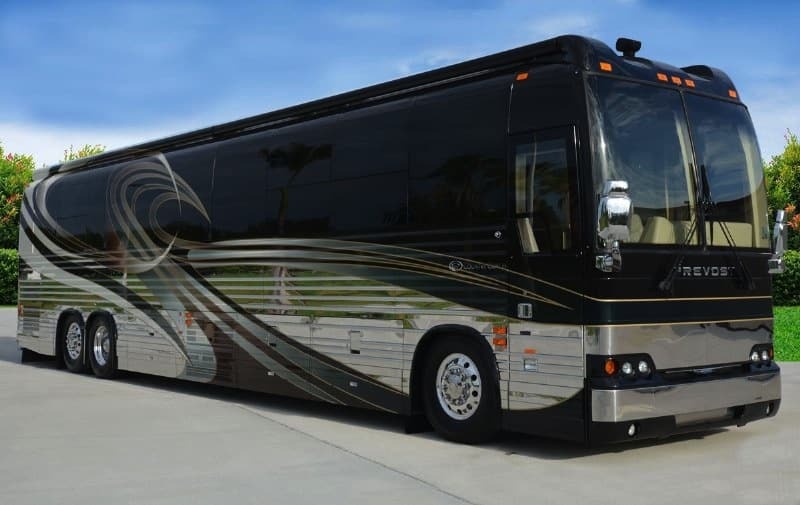 Prevost Coach: Our motor coach is the ultimate way to travel, attend an event, or tour Mississippi. Available for any occasion, contact our reservations specialist or complete the quote request for a detailed price quote on chartering our coach. Pricing: From $6,000 per day. Oxford Executive provides seamless transportation services between the Oxford, Ole Miss area to the Memphis International Airport. You can sit back and relax in one of our luxury vehicles during the hour and a half trip to Oxford. If you have any questions our reservations staff is standing by.